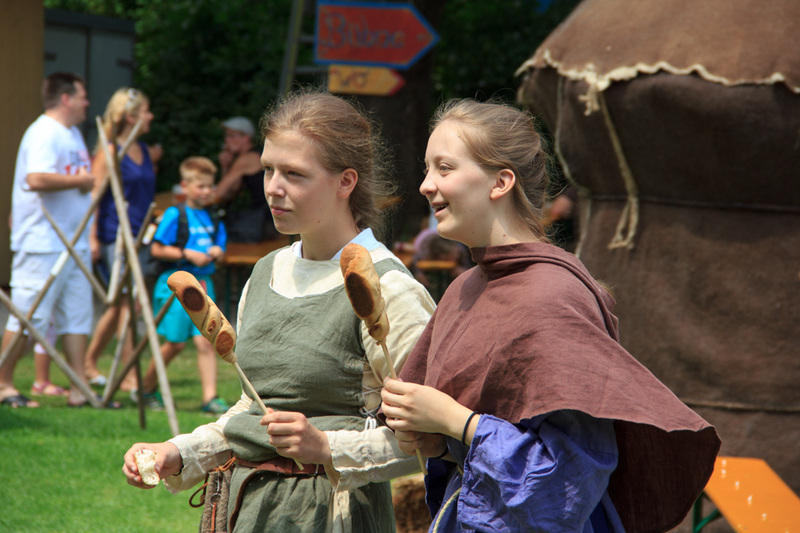 The Regensburger Spectaculum – Sunshine. Whimsy. Tacos. 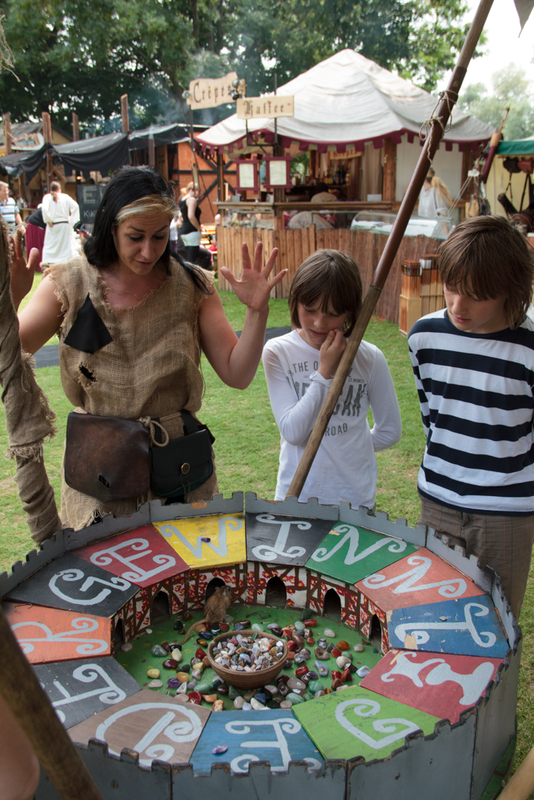 This weekend, there was a medieval marketplace called the Regensburger Spectaculum. It takes place every summer for one weekend. There are people in costume, of course. And food on sticks. There are, of course, fluffy little dogs hoping to catch bits of food that fall from the aforementioned sticks. 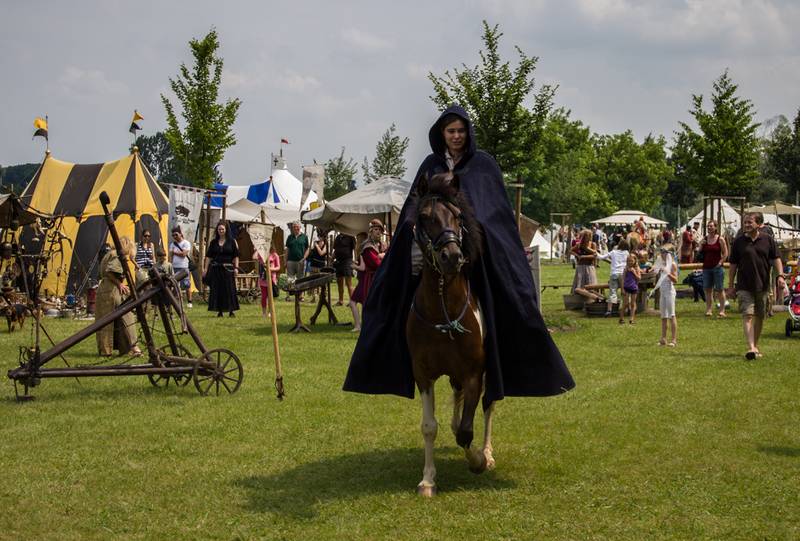 There are people on horses who have recently been holding swords aloft. I’m really not sure why there were swords being held aloft, but it happened a few moments before this photo was taken. 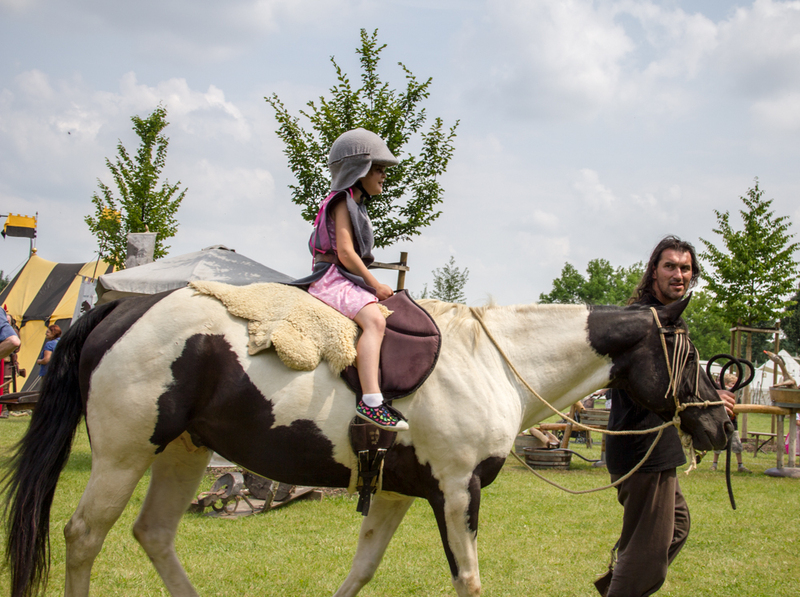 There are also horse rides being given to small children in funky hats. 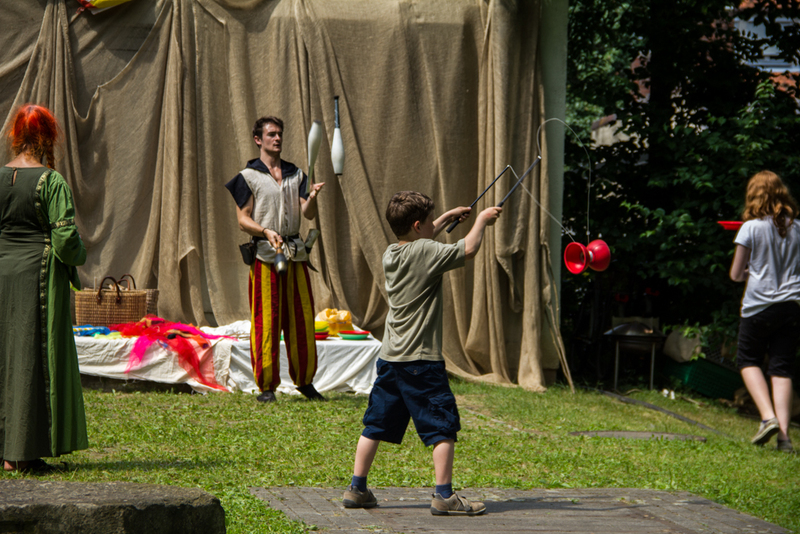 There’s juggling, and… whatever that thing with the two sticks and the string and the weird yo-yo is called. Whatever it’s called, this kid is actually pretty good at it. And spontaneous outbreaks of percussion. I’m not sure what the dramatic pose is all about; she was just walking by when I took this. Maybe she was having a spontaneous migraine. I know I sure was. There’s amusingly named cotton candy… “spinnweben” makes me giggle. …and there’s a game where you gamble on which little doorway a mouse will choose. This is actually quite a lot of fun. 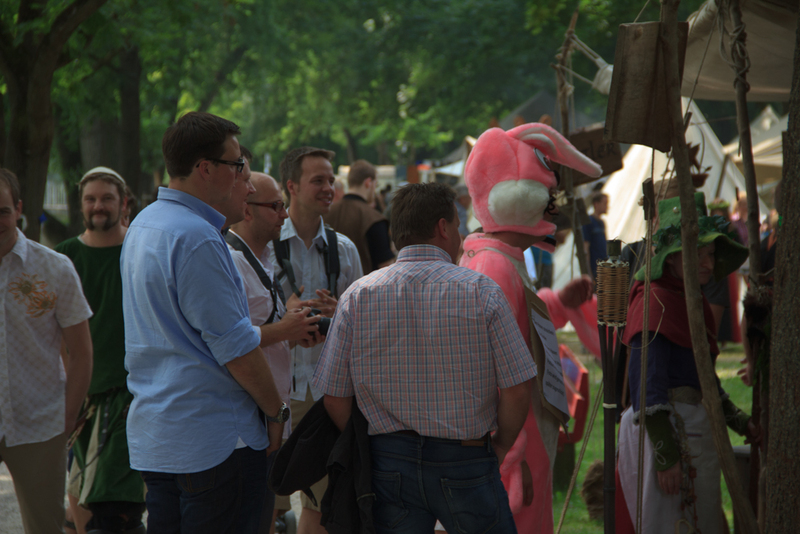 And lastly, there are men in bunny costumes. 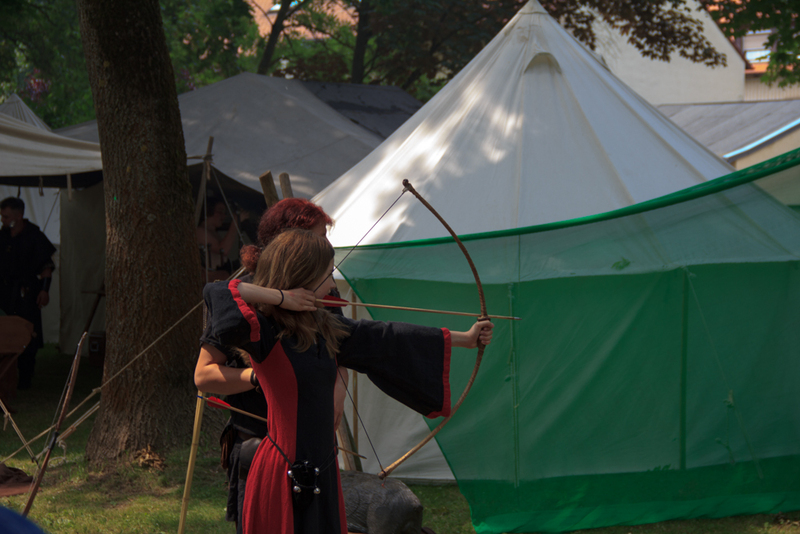 This has nothing to do with the medieval market, it’s just the sort of thing you see in the summertime in Germany. The man in the pink bunny costume is about to be married, and this is part of his bachelor party. German wedding customs are weird. That’s another post, though. 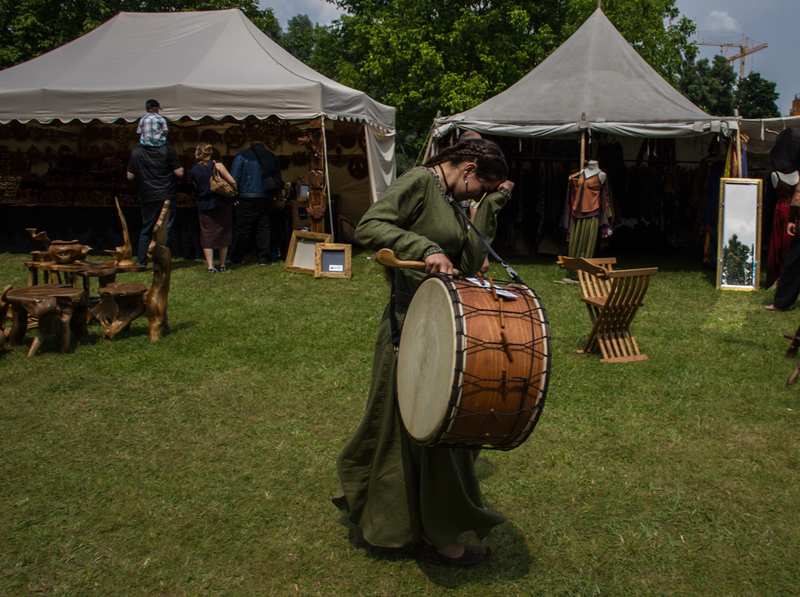 Does your town have a medieval festival? Does it involve men in bunny costumes? the “weird yo-yo” is called “Diabolo” in german. Not sure if there’s an english expression for that. Sorry! Love Mouse gambling. This is one my favorite parts of the Mittelaltesmarkt at the Weinachtmarkt in Esslingen. Thinking about doing bread on a stick for our camp out this weekend. I hear if you put a nutella filling in the dough and then put on the stick and roast….pure deliciousness. 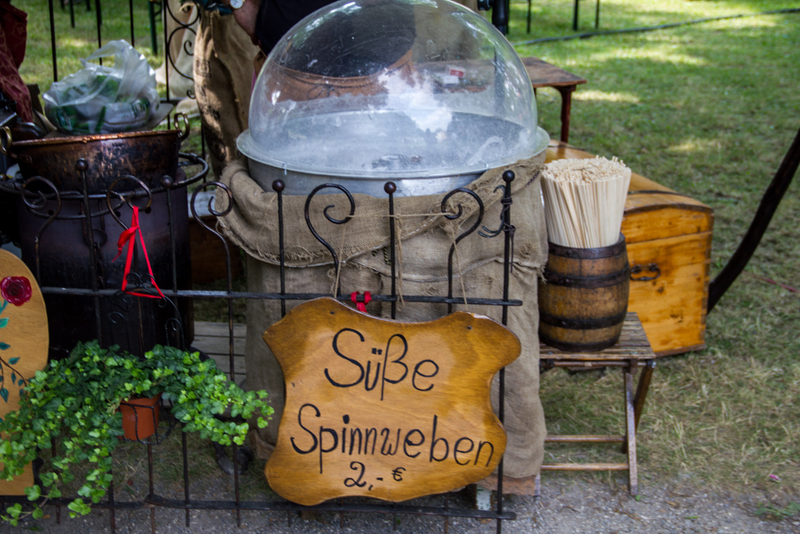 Spinnweben actually means “cobwebs.” It’s not really the translation for cotton candy; this was named cutely because it was a ren faire kind of thing. I still think it’s perfect though. LOL.